How to keep your twitter account safe? "Do not go gentle into that good night" could actually be said about internet, for internet is a dark place and you need to be prepared for any enemy that you may face. Those who are not aware of the dangers end up victims, the latest important people who have fallen victim to hackers are Indian National Congress party and its vice-president Rahul Gandhi. Twitter account of the Gandhi scion was hacked and brutalised with abuses and mockery last night. And this morning hackers' prey, assuming it was done by hackers and not some disgruntled party worker, was the Congress party's Twitter account. Both the handles, @OfficeOfRG and @INCIndia, are controlled by a social media team hired by the political party. The possible motive of the hackers is a different argument altogether, however, it is still important to consider if such a high level handle can be hacked then how safe are we, mere mortals on internet. The answer is, not safe enough. Although there is no foolproof safety measure that cannot be exploited if someone set their mind on it, however, through simple cautions and tricks you can be safer than others. Or less vulnerable than others. Here are a few simple tips that can help you keep your Twitter safe. 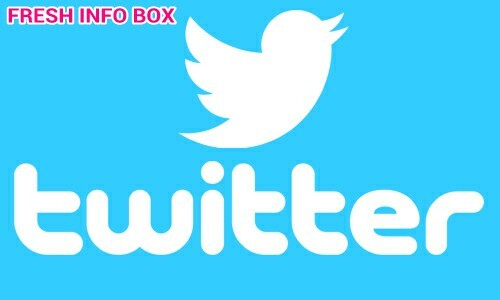 Most of security advice for Twitter can be implemented from your account settings. Click on your profile photo on the top right corner to access settings. Security and Privacy: You can find this on the panel on left. Select 'Login verification'. Twitter will now send an OTP on your registered account each time you or someone with your password tries to login. -- Select 'Password reset'. Now if someone tries to change your password they will need to enter your personal information like contact number. Apps: This section in Settings show all the list of all the apps that have access to your Twitter. You can revoke access of an app that you find suspicious or of an app that you don't use. Change password: Never forget to change your password every three months or so. This is applicable not just for Twitter but all the accounts you have on internet, which include Facebook, Gmail and others. Unique password: It's for the best not to keep the same password for two different accounts. And by different we don't mean a change of a letter but the whole password. For example, if you Facebook password is Iloveoranges@123, your Twitter password shouldn't be Iloveoranges@1234 or OrangesILove@123 for that matter. Suspicious apps and websites: Always stay clear of anything that looks remotely suspicious on internet. This includes useless prank apps on Google Play Store or any other third-party app site, ad pop-ups, spam and phishing mails. Never click on any of these. As we said earlier no one is entirely safe from hackers and cyber criminals. However, following these tips and practices you can feel a bit safer.